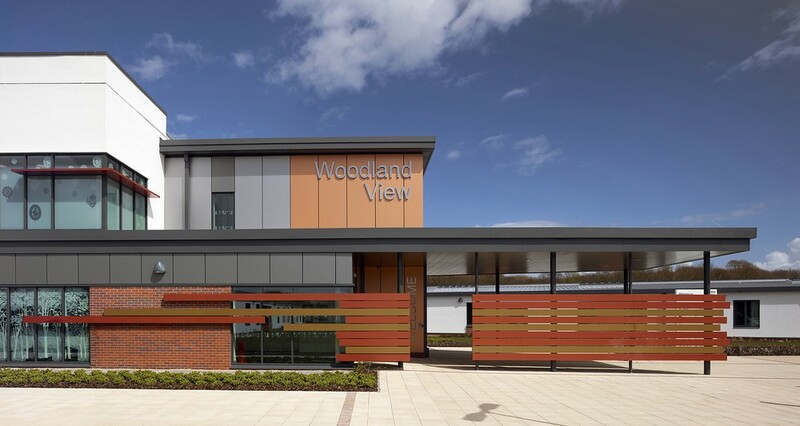 Woodland View, a £46million adult acute mental health and community facility located in Irvine, Scotland has opened its doors to service users. 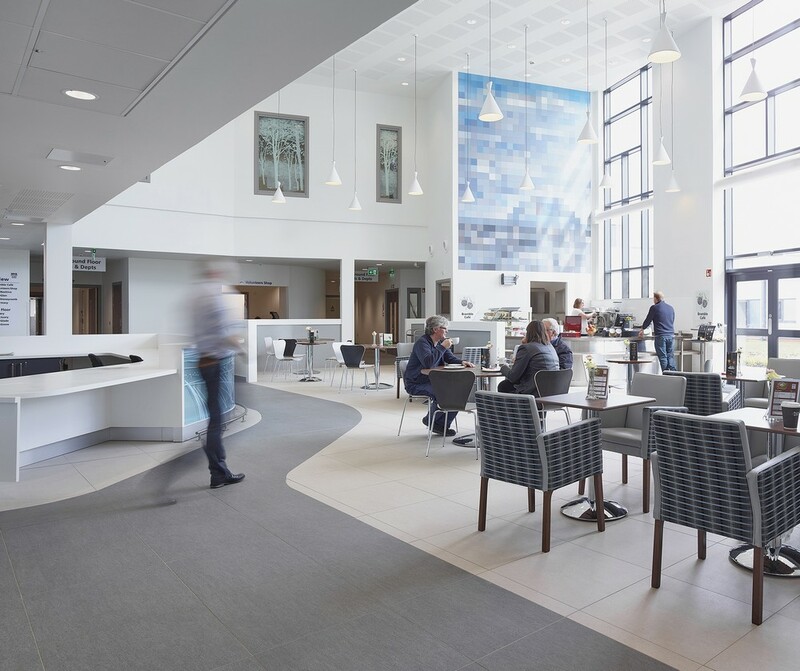 The 206-bed new build hospital designed by IBI Group and constructed by Balfour Beatty, is focused on delivering inpatient and outpatient mental health services for adults, including: rehabilitation, continuing care, addictions, forensics, and intensive psychiatric care. The hospital’s design also provides organic and functional services for elderly mental health, specifically dementia care, and incorporates research by the Dementia Services Development Centre at Stirling University. 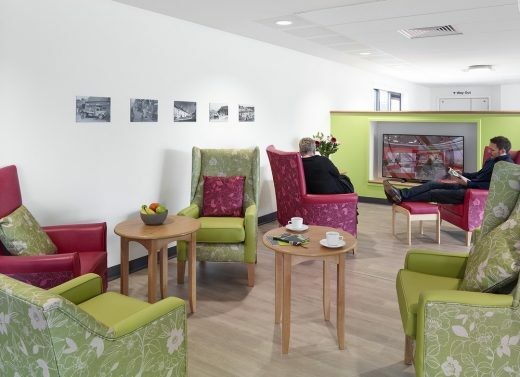 Supportive design features comprise: corridor seating areas overlooking beautiful landscaped gardens, ‘wander loops’, dementia friendly signage and a considered colour, artwork and wayfinding strategy to help trigger service user memories. Planned around service user and staff wellbeing the building is safe, spacious and sustainable. Full of natural light, the design promotes excellent observation inside and out, offers gender flexible wards that maintain privacy and dignity, and encompasses landscaped gardens that promote exercise, rehabilitation and recovery.